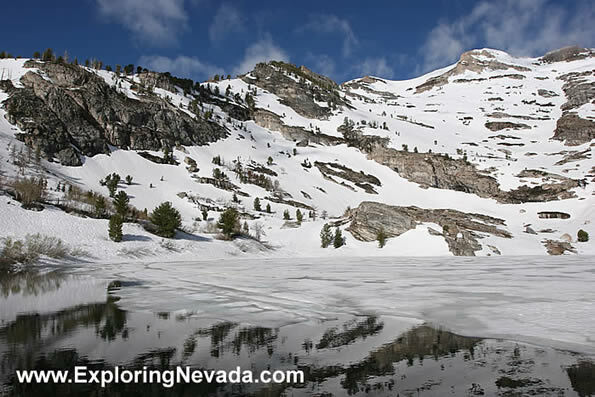 Due to the lake's high elevation, Angel Lake isn't exactly the warmest spot in Nevada. This photo was taken in late-May, soon after the Angel Lake Road (Highway 231) opened. But at 10,000 feet elevation, the signs of summer are few.